WASHINGTON/DUBAI/ANKARA: The US Treasury Department on Monday confirmed that it has allowed the transfer of $550 million in Iran’s frozen oil revenues to the country under an interim nuclear deal. A US Treasury spokeswoman said the transfer began Jan 31 and would be complete early this week but declined to specify which foreign banks were involved. No US banks were involved in the transactions, but the United States, which has extensive sanctions on Iran tied to its disputed nuclear programme, helped facilitate the transfer of funds, the spokeswoman said. The money is the first instalment of $4.2 billion in blocked oil funds that were to be made available to Iran under the nuclear deal signed in November. 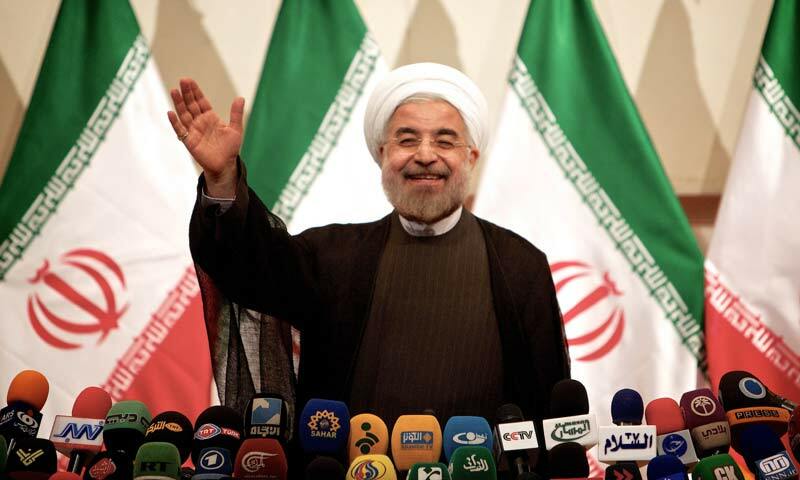 Iran received limited sanctions relief in exchange for agreeing to curb its nuclear activities. Iran welcomed the most senior French trade delegation in years on Monday, telling more than 100 executives that the far-sighted among them stood to win the race for business following an easing of some economic sanctions. The prospect of a relaxation of commercial restrictions has whetted the appetite of French firms eager to win back business in an oil-and gas-producing country of about 80 million people where some previously had extensive operations. “A new chapter has begun in relations between Iran and Europe,” Mohammad Nahavandi an, President Hassan Rouhani's chief of staff, was quoted as saying by the official IRNA news agency. “You should carry the message back that potential for cooperation with Iran is real and not to be overlooked,” he told the delegation. “Those with longer foresight stand to win this race.” The delegation of more than 100 executives from Medef, the French employers' association, on a Feb 2-5 trip, met Nahavandian and members of Iran’s Chamber of Commerce, Industries, Mines and Agriculture, IRNA said. A source close to the delegation said it was the most senior group of entrepreneurs and financiers to visit Iran since the 1979 revolution, representing the defence, aviation, petrochemicals, automotive, shipping and cosmetics sectors. Among the companies represented were Safran, Airbus, Total, GDF-Suez, Renault, Alcatel, Alstom, Amundi and L'Oral, the source said. “Many of these firms have worked in Iran before and their goal now is to restore links,” the source said. “The very make-up of the delegation shows that these people are here to evaluate potential for cooperation.” A French embassy source in Tehran said the visit was merely exploratory and “nothing is to be signed this time around”. Former French ambassador to Iran Francois Nicoullaud said that French firms that operated in Iran before the sanctions wanted to return. Peugeot and Renault had already sent executives to Iran for an automotive conference last year. Russia also in talks: Under November's interim deal between Iran and six world powers, Teheran agreed to stop production of 20 per cent enriched uranium by Jan 20. In return, some sanctions imposed over the nuclear programme- which Western countries suspect is aimed at developing arms despite Iranian denials - were relaxed from that date. Iran will be able to spend $4.2 billion in unfrozen funds over six months, although most sanctions remain pending along-term agreement. In the short term, business opportunities are limited, but the potential of Iran's market is a magnet for foreign firms seeking long-term opportunities.Last month, Reuters reported that Iran and Russia were negotiating a deal worth $1.5 billion a month under which Russia would buy up to 500,000 barrels a day of Iranian oil in exchange for Russian equipment and goods. The White House expressed concern about the report, saying such a deal, which would significantly boost Iran's oil exports, could trigger US sanctions. He added that Russia's No 2 oil producer Lukoil has expressed interest in returning to Iran and that nuclear energy cooperation was also being discussed.